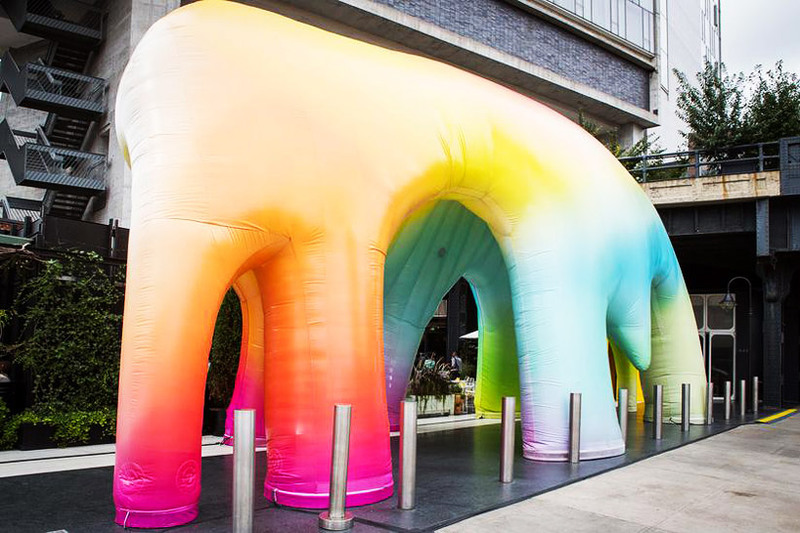 Art group FriendsWithYou, created by artists Samuel Borkson and Arturo Sandoval III in 2002, have unveiled their latest art installation in New York! Titled “Light Cave”, this installation is on display at The Standard High Line Plaza in New York City for the duration of September, and is the largest stand-alone sculpture created by FriendsWithYou to date. The 55′ long inflatable piece invites viewers and commuters to walk through and experience the piece from within. The Light Cave glows with multi-colored lights and pulses, and even ripples in the air thanks to its inflatable nature, transforming the piece into an interactive sensory experience. 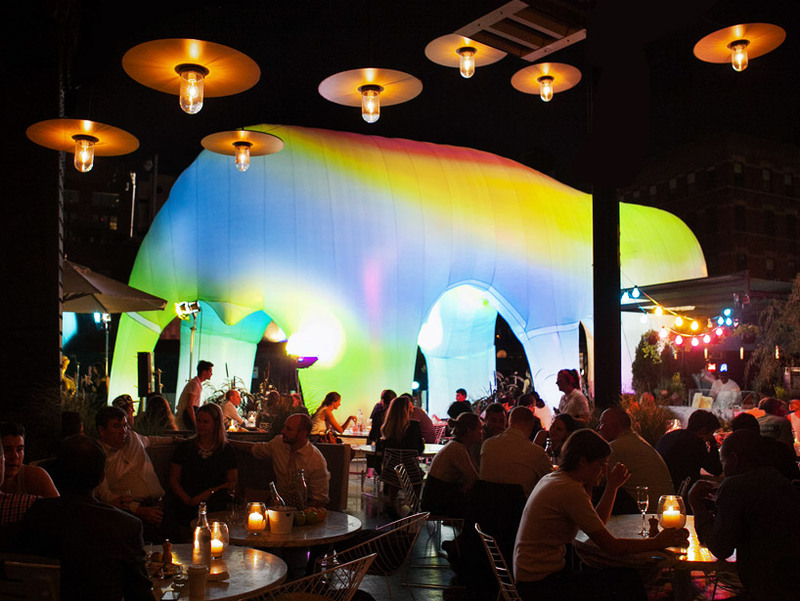 This collaboration between FriendsWithYou and The Standard has met with positive reaction from fans and passerby alike, whom have become immersed and mesmerized in the Light Cave’s unique minimalist aesthetics. Check out the video below to see the Light Cave for yourself!